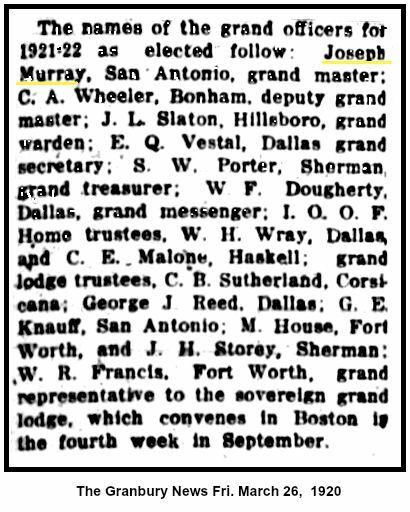 Photo of IOOF Home Campus labeling the various buildings (1921) - during PGM Murray's term. 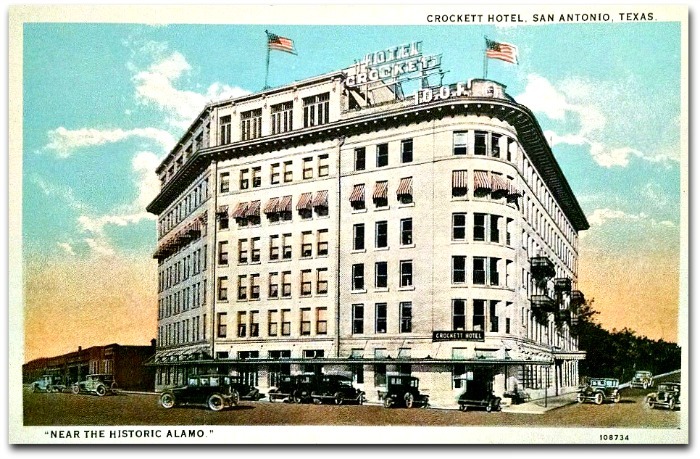 The above image is a 1920's postcard of the Crockett Hotel. 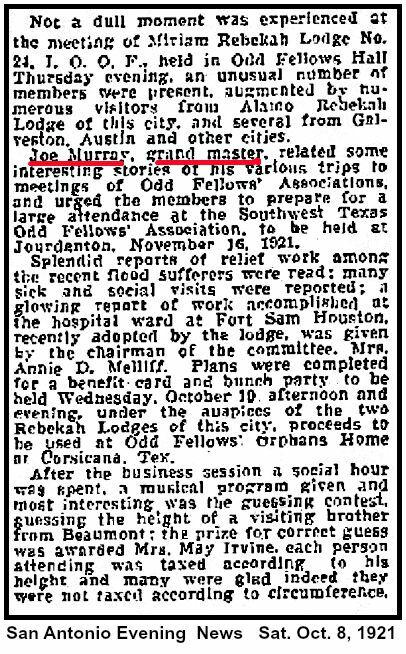 At that time, the hotel was owned and operated by the I.O.O.F. 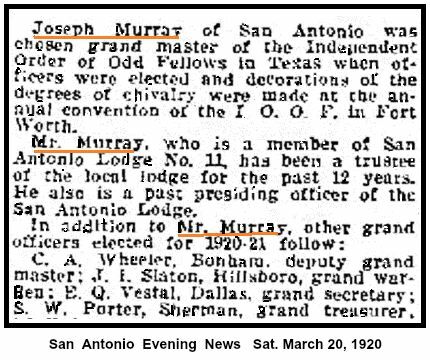 San Antonio Lodge Hall #11 which was on the 6th floor of the building. 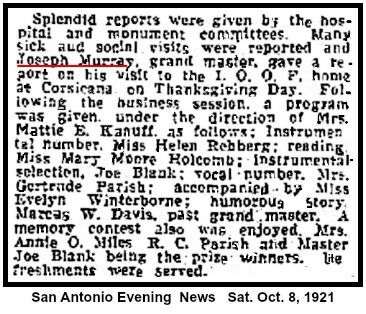 They continued to maintained ownership of the property until 1978 when the hotel was sold to an investor. 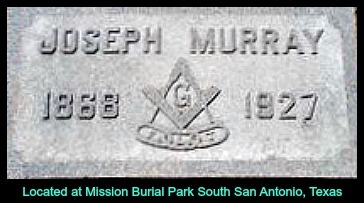 GM Murray was a member of this lodge until his death in 1927.